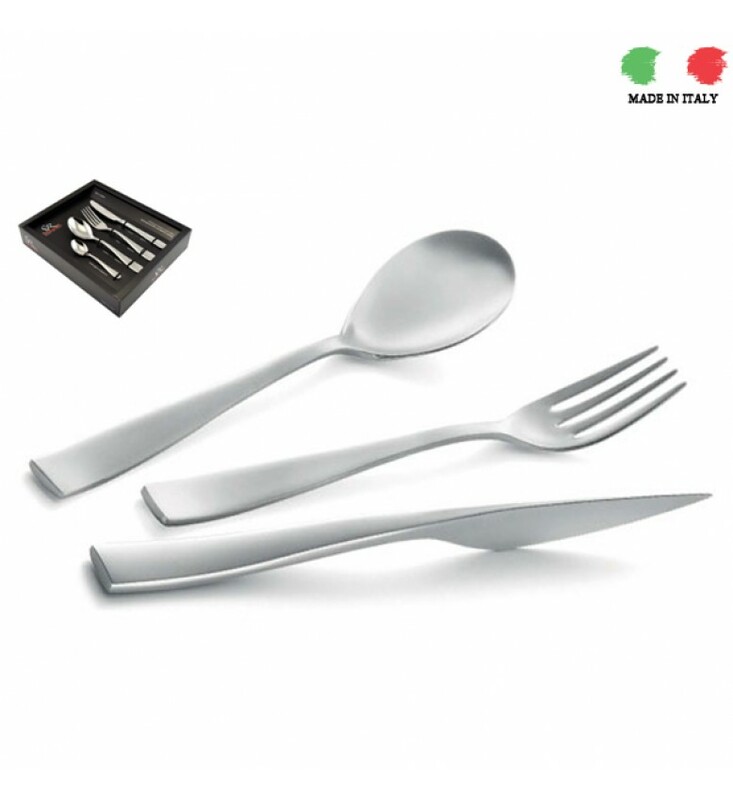 Etoile sand Blasted is a cutlery model with modern lines, soft and dynamic. It is a design that can not go unobserved on the table. Especially with the knife that stands, and does not lie, on the table, giving that touch of originality. The roundness of the spoon and the sinuous form of the fork gives an enhanced personality to the handle with its widening flat composure. The modern and functional design welcomes everyday use on the table, matching modern dinnerware of any style or geometrical form. Cutlery made of 4mm 18/10 stainless steel with a sandblasted finish, and can be sold loose or in sets. mm . and it can be sold in bulk to dial the service according to different needs or in packs. The sand blasting effect is obtained by by using micro spheres that are jet blasted onto the surface of the steel. This provides the surface with a highly aesthetic appearance that is similar to white stone caused by the diffraction of the reflected light.